Having the right sheets can elevate your sleeping experience and complement your mattress for an even better night’s sleep. The crisp, yet warm feel of these particular sheets are the perfect blend of warmth and coolness. The Malouf Cotton Blend sheets are a great addition to any bedroom and are great for the sleeper who likes a cozy yet breathable feel. 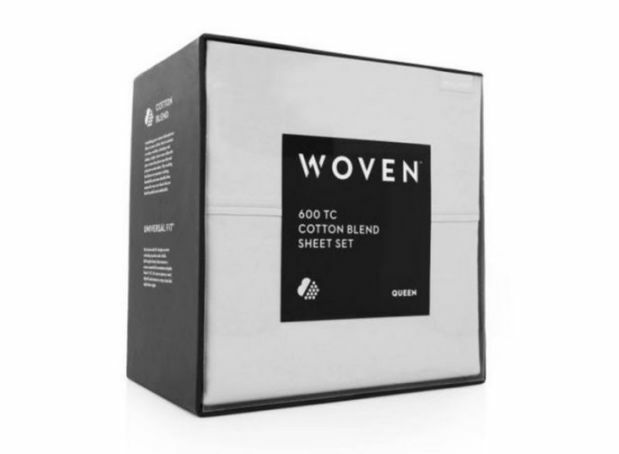 These sheets are made of 55% cotton and 45% polyester and are uniquely woven together to have the feel of cotton on one side and the wrinkle resistance of polyester of the other. This two sided feature allows you to have the softness and comfort of cotton on your skin by facing the cotton sides towards each other when making the bed, which you can decipher by the slightly darker look the cotton side has. This allows the soft, cotton side to touch your skin while the smooth polyester side faces up. These sheets are a universal fit with the fitted sheet fitting up to an 18″ mattress and the top sheet provides ample material to cover the bed with plenty of extra. 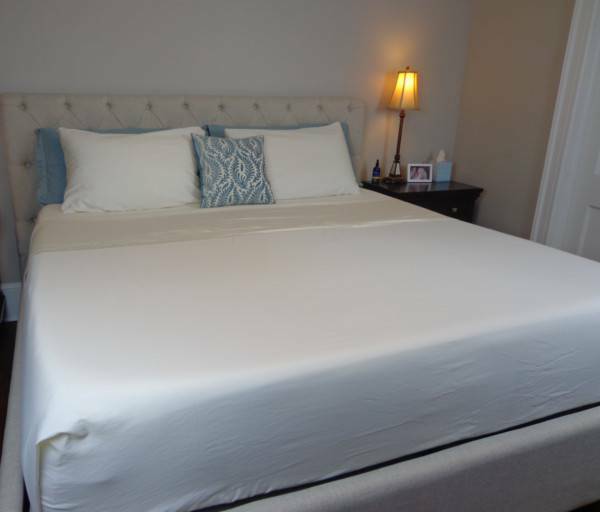 The elastic is durable and strong and pulls the fitted sheet smooth and tight over the mattress and keeps it in place. They also come in four vibrant but neutral colors that will work for most bedrooms. Blended sheets are typically associated with the fibers being blended together before woven, but these sheets actually weave the fibers together as is and in a cross pattern way to allow one side to be soft cotton and the other side to be anti-wrinkle polyester. This blend not only gives you the luxurious feel of cotton, but because of the blend gives you the advantages of polyester. These sheets are crisp and are almost crisp to the point of maybe causing disturbance to a partner when moving because they do make a little noise. They feel soft and smooth and even in cooler months still are cozy and warm yet still breathable to allow you not to overheat. They would be ideal for any climate and any time of year. They are lightweight but strong and durable and great for someone who likes the crisp, smooth feel but also wants to be comfortable and warm. 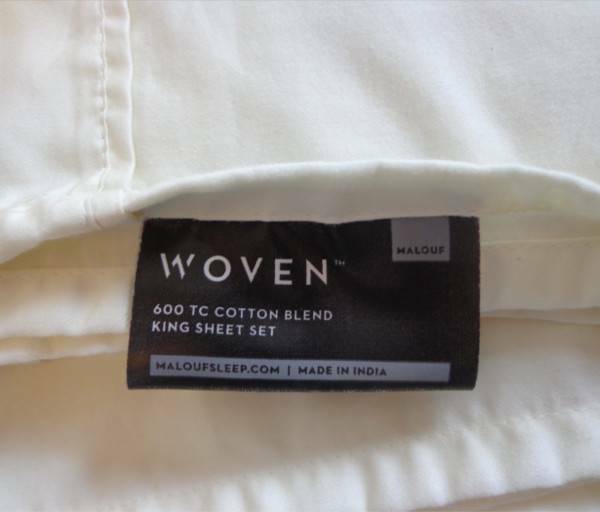 The Malouf Cotton Blend sheets are great quality and really give you the best benefits of cotton and polyester. 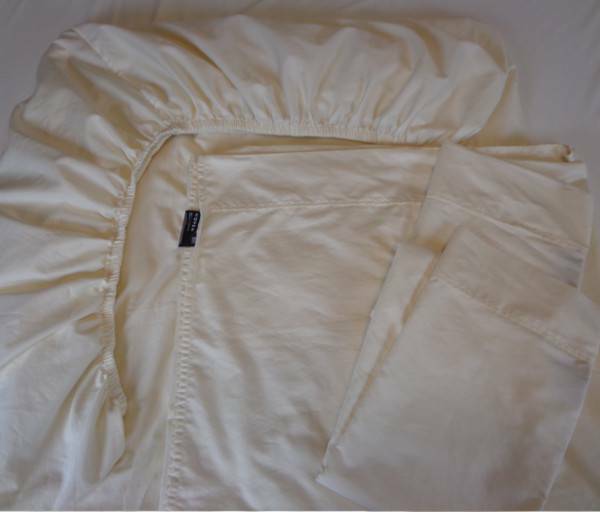 After using these sheets for several months, typically in the warmer months in Minnesota, but also in cooler months, and with multiple washes they maintain the same feel as being new, if not even softer over time. They haven’t had any signs of excessive wear and no thinning in any area. The elastic around the fitted sheet is still strong and pulls tight. The polyester side not only helps with the keeping the wrinkles to a minimum, but also allows the sheets to resist any shrinking too. They have performed great time and time again and really do a nice job of maintaining their integrity. 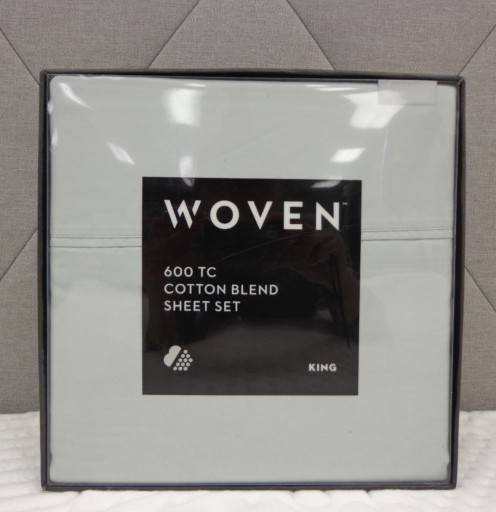 These sheets are priced around $65 for a queen set and even though they are blended, the way they are blended allows for the feel of a much more expensive 100% cotton sheet set with the advantages of anti-wrinkle non cotton material. This allows them to be affordable, yet still a luxurious and practical set of sheets. These cotton blend sheets are machine washable but should be washed on a gentle cyclewith about half the non-chlorine bleach detergent you would typically use. They also should be washed at a cold water setting and rinsed with cold water too. Dry them on a low setting and do not iron. Still looking for some more information? Visit Malouf at linenspa.com. Also, have questions for us? Please contact us and we would be happy to help you!